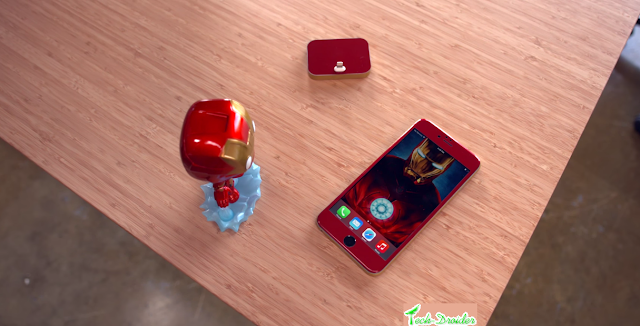 Recently Samsung Dropped their S6 and S6 edge Iron man edition , But Now iPhone users can Also convert their iPhones to Iron Man edition by just following Simple Steps . You can Also Convert Your iPhone 6 Plus to Iron Man Edition , Check Here - How to Convert iPhone 6 to Iron Man Edition . Step 1. Buy Iron man edition Skin for iPhone 6 Plus From - Here . Step 2. Apply The Skin , All the Instructions will be given there . Apply with extreme care . Step 3. Download this Iron Man wallpapers from Google . Enjoy your iPhone 6 Plus Iron Man edition .